Intuitive dials glow red for on and white for off, showing from a distance which burners are lit. The Auto-reignite system means you don’t have to hold down a dial while burners ignite – if a burner goes out it is automatically relit at the original flame setting. 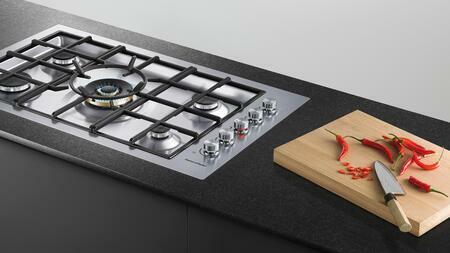 The Dual Wok Burner provides a searing heat of 18,500 BTU with an inner ring of flames that gives more flexibility. It is attractive, well designed, and very easy to clean as well. It is very energy efficient with almost instant on. Cooks well heat is evenly distributed and looks great in the kitchen. 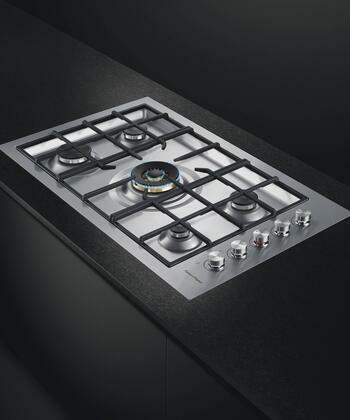 This cooktop looks like a very professional grade. Cooking time has also been reduced due to high efficiency burners. I would buy it again and recommend it to anyone interested in higher heat. Purchased this cooktop to replace 25-year-old version. 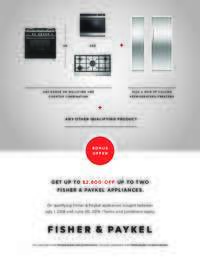 I am so glad we went with Fisher Paykel Stove. Cook top is well made. Controls are convenient. Over all, glad we bought this brand and model. Lived up to all our expectations. Heats fast and is very easy to clean. 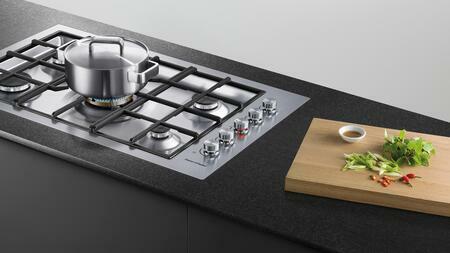 Excellent heating, enjoy cooking even more now. Good modern update to a 70's stove top. My wife enjoys it. Everything worked as it should. No complaints. 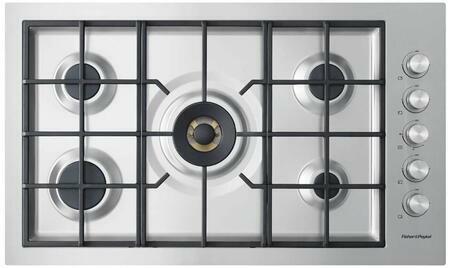 Easy to installed and clean and we enjoy every day cooking. 100 % satisfaction. I selected this model for the easy use and clean look. 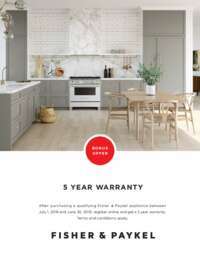 I've been in my home now for four months and have used the cooktop quite a lot. 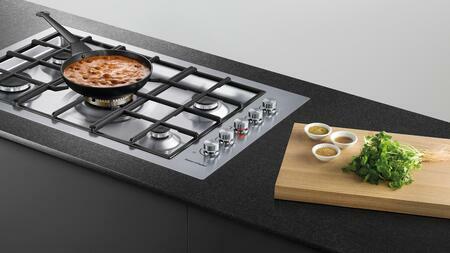 Cooking is fun again with Fisher Paykel range top. The cooking stations on it are the perfect size for me and my use. Cleans beautifully. Heats up very quickly to whatever setting selected. Highly recommend this stove top to anybody. It's so wonderful. 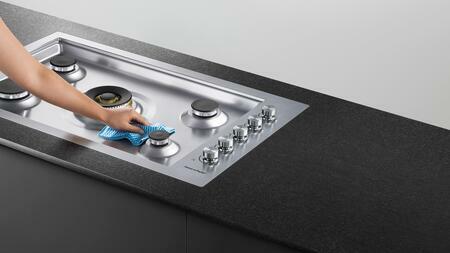 The ease of cleaning makes this appliance a must for all chefs at every level. The igniter is very powerful so the flame turns on almost instantly. Truly a wonderful!!! I am thoroughly enjoying my cooktop stove. Assembly was relatively simple. I am really pleased with the product. This cooks more evenly and have lot of new features. Best stove I have ever had. Very easy to clean, sleek look.